Welcome to All Sensors “Put the Pressure on Us” blog. This blog brings out pressure sensor aspects in a variety of applications inspired by headlines, consumer and industry requirements, market research, government activities and you. In this blog we’ll be discussing the role pressure plays in the desalination efforts in California. With water shortages occurring in all regions of the world and especially in California, new sources of water are being explored. In some cases, the new source uses an old approach. Desalination of sea water is getting new attention after being shelved for decades in Santa Barbara. 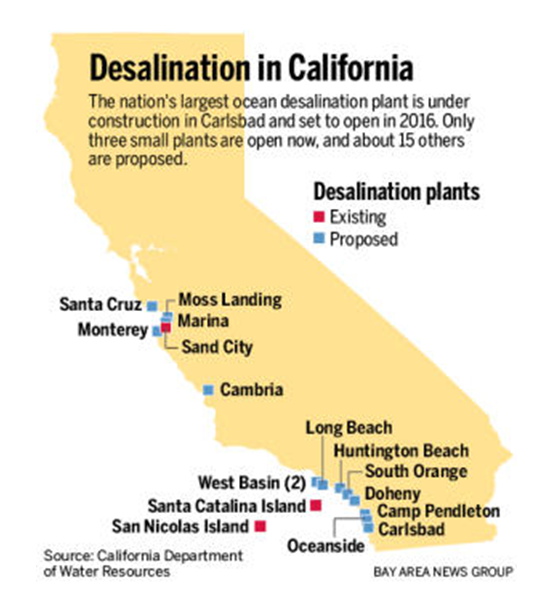 Also, San Diego is building the nation’s largest ocean desalination plant that will be completed in 2016. Pressure is an integral part of turning sea water into drinkable/usable water. A reverse osmosis (RO) process is used to separate the dissolved salts in a saline solution by flowing the liquid through a water-permeable, pressure-driven membrane. The pressure required depends on the type of membrane and the desalination being performed. 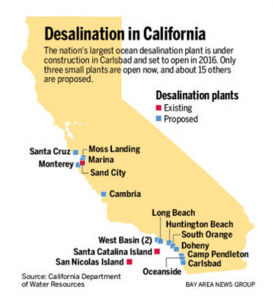 For example, the desalination plant on Catalina Island uses 900 psi to treat ocean water. Treating underground brackish water only requires 200 to 300 psi. As shown in the table, there are four categories or classes of pressure-driven membranes for desalination. MF/UF membranes are being increasingly employed in the desalination process to shield other membrane types from suspended solids and larger colloidal material that are detrimental to their performance. As part of the control and monitoring process, the differential pressure is sensed across the membrane at each phase. Welcome to All Sensors “Put the Pressure on Us” blog. This blog brings out pressure sensor aspects in a variety of applications inspired by headlines, consumer and industry requirements, market research, government activities and you. In this blog we’ll be discussing the role pressure plays in salvaging underwater treasures and history. Finding a long lost ship that carried gold, silver or other cargo that could survive an underwater hiding place for dozens, hundreds or even thousands of years is just the beginning of an underwater salvage operation. 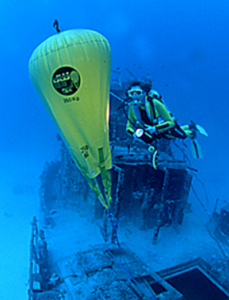 If a simple chain or rope cannot be used to retrieve the underwater treasure, the next step is buoyancy – using the pressure difference between a fluid (gas or liquid) to exert an upward force to overcome the weight of the submerged object. Lift bags, parachute lifting bags and other terms are used for the lower density objects that can be either open or closed structures to create the lifting force to raise a submerged item. At certain depths, air can be used as the lifting force. Lifting bag courtesy of Water Weights. For an ideal gas, Boyle’s Law states that the product of pressure and volume is a constant when the temperature is held constant. In addition, every 10 meters or 33 feet of depth, the water pressure increases by an additional bar (14.5 psi) above atmospheric pressure. As a result, the amount of air required to lift a payload depends on the weight of the load and the depth of the bag. For example, lifting 5.6 tons with air bags at a depth of 20 meters requires 5m3 of air at 3 bar (45 psia), which is a volume of 15m3 at surface pressure (1 bar or 14.5 psia). When the lifting structure and submersed object rise, the pressure decreases and the air inside the bag expands. This can cause a dangerous situation by accelerating the rate of ascension. Observing how far a submerged ball can be launched into the air is a rather easy demonstration of this problem. To counter and control this effect, the pressure relief valve in one company’s enclosed floatation and salvage pontoons releases pressure at 2.5 psi above ambient pressure. For deeper salvage operations, fluids other than air are used. In any case, the pressure difference provides the ability to raise submerged objects and understanding the forces involved enables a successful and safer process. Welcome to All Sensors “Put the Pressure on Us” blog. This blog brings out pressure sensor aspects in a variety of applications inspired by headlines, consumer and industry requirements, market research, government activities and you. 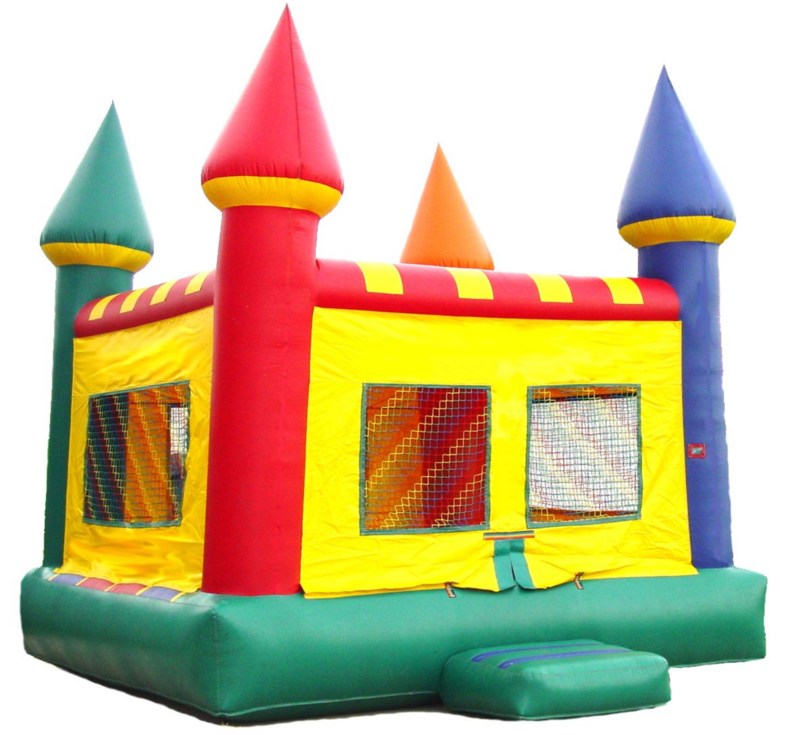 In this blog we’ll discuss air pressure and safety in bounce houses. When the weather is nice and a special event warrants a bounce house, kids get a first-hand experience of the importance of pressure. The air-filled chambers allow bouncing, falling and a lot of fun. Maintaining the pressure requires a pump to run continuously and usually the required pressure is not measured or displayed because it has been predetermined in pre-production design and testing. Unlike a thick rubber tire, the relatively thin vinyl material of the bounce house only requires a few psi to elevate it above the hard ground. With names like Cloud 9 and Jump for Joy as suppliers, it is easy to see how the inflated structure takes children away from the normal day-to-day realities. However, safety is still an issue. When safety in a bounce house is discussed, it usually involves parts per million (ppm) of potentially toxic materials including lead or human contamination. According to one source’s analysis of a specific product, “Lead levels in the vinyl, the tests found, varied from 5,000 parts per million to 29,000, far above the federal limit of 90 to 300 parts per million.” Fortunately, pressure problems are not a concern, since under or over inflation are easily observed by both visual and audible (the pump’s noise) human sensing.